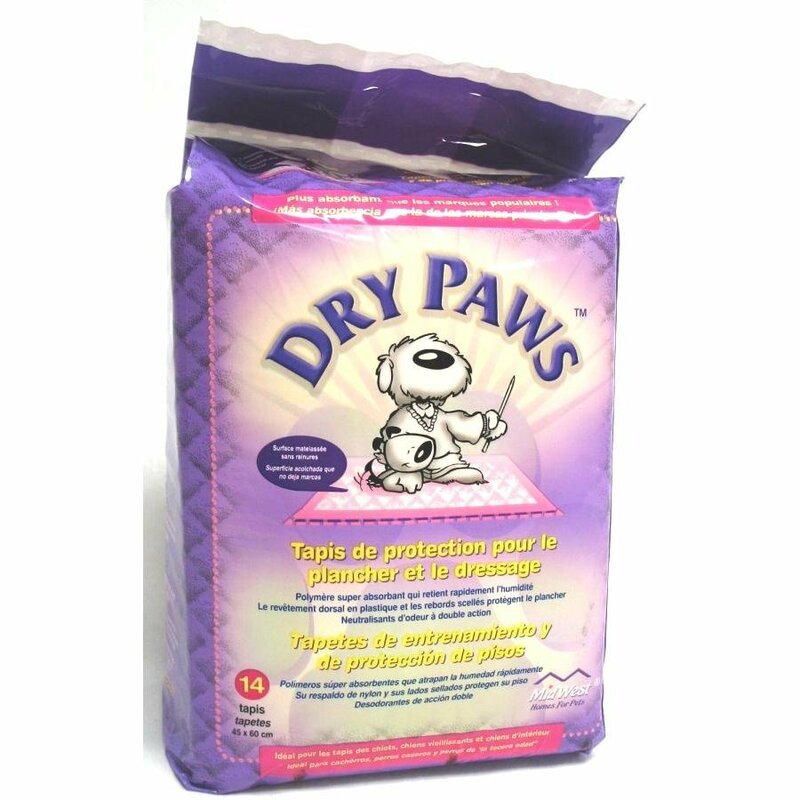 Dry Paws Training and Floor Protection Pads for Dogs are perfect for helping to house break your puppy, for periods when you are away from your dog for a long period or for dogs who tend to have accidents. 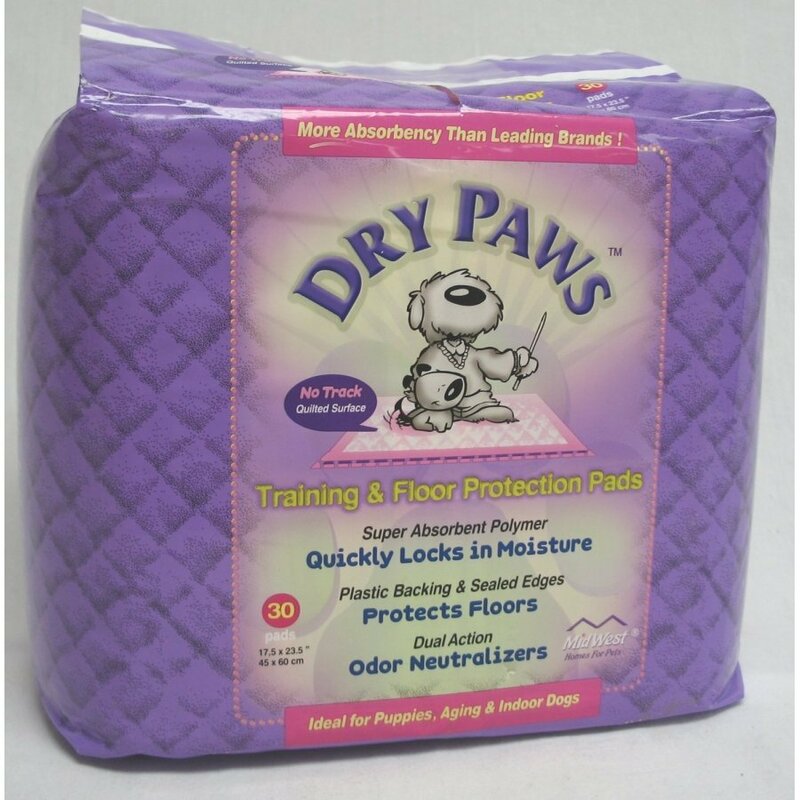 Pads are quilted to quickly retain moisture. 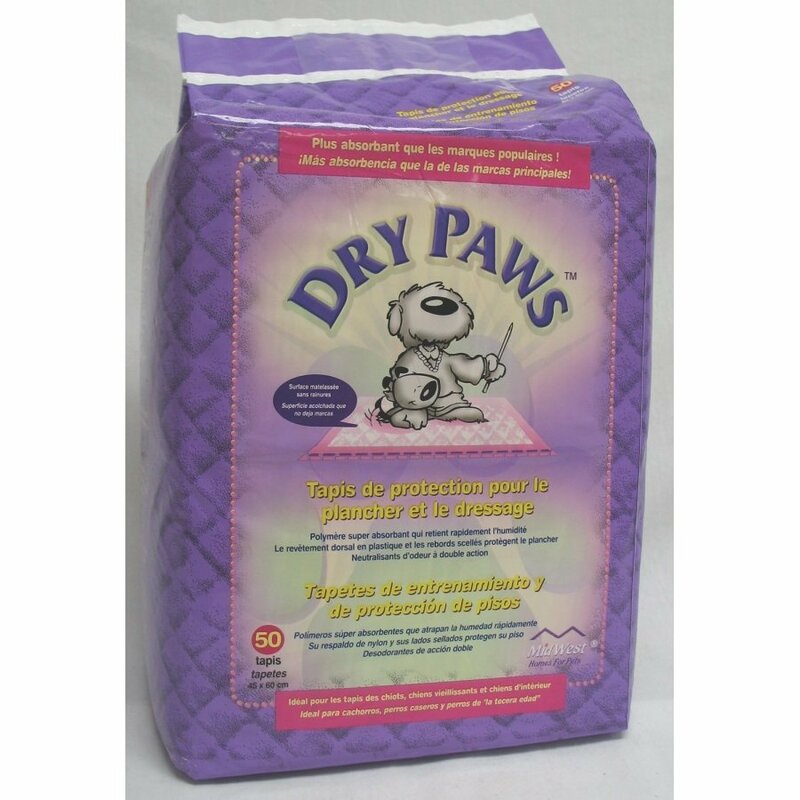 Dry Paws Dog Training / Floor Protection Pads has different options and/or variations, please choose below. 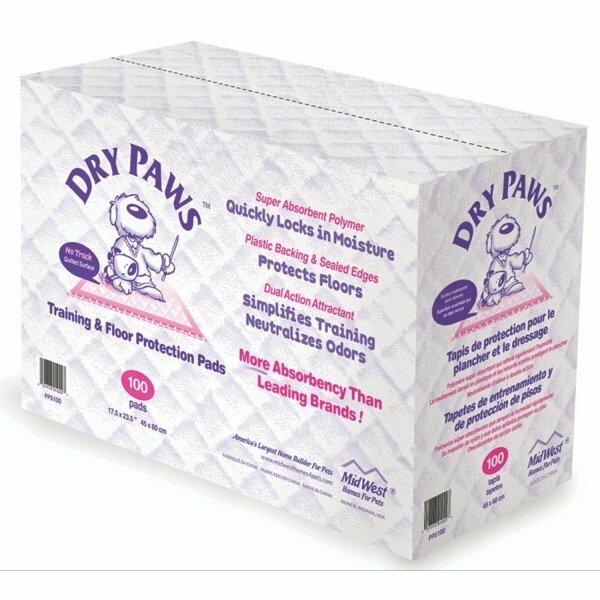 Dry Paws Training and Floor Protection Pads for Dogs are perfect for helping to house break your puppy, for periods when you are away from your dog for a long period or for dogs who tend to have accidents. Pads are quilted and have a plastic backing to quickly retain moisture and bacteria. They are made of a super absorbent polymer. Contains a dual action attractant that makes training easier and reduces odors. Helps to keep your house cleaner and your dog healthier. Ideal for apartment living or small outdoor areas. Dual action attractant simplifies training, neutralizes odors. 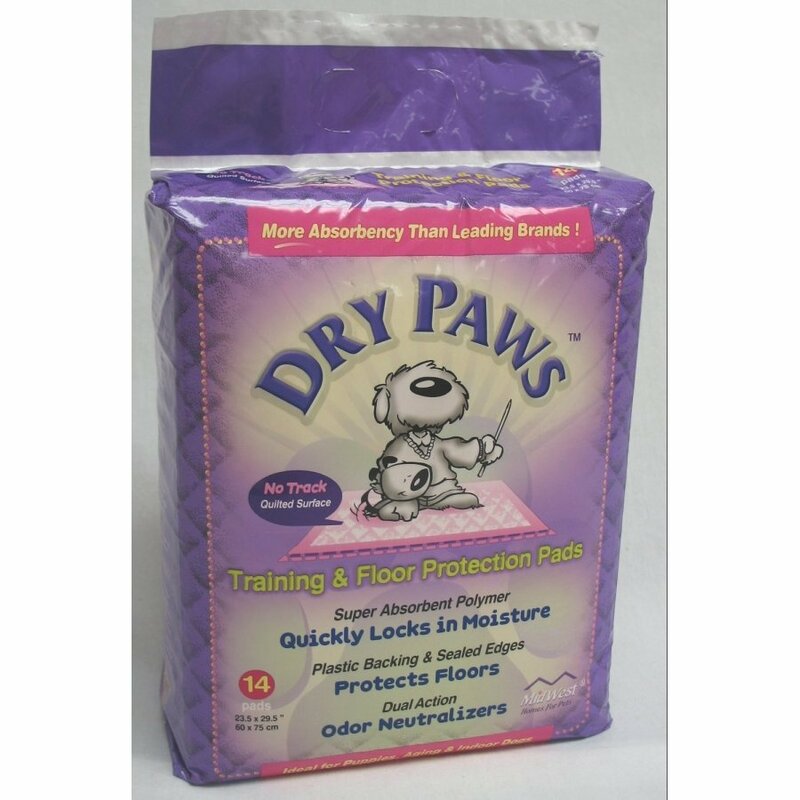 Ideal for puppies, aging and indoor dogs. Pad dimensions: 23.5 inch x 29.5 inch. Pad dimensions: 17.5 inch x 23.5 inch.